Hello! Welcome to Mrs Jones’ blog. During this blog I am going to be writing about all the products from Philip Morris & Son that I am using for my own home. I am married to Bruce Jones Managing Partner at Philip Morris & Son, let’s call it PMANDS for ease during this blog. We got married on the 11 November 2011 and have just bought our family home, so as you can imagine there are lots of things to be done and lots of new things I am using from the shop to make my life as a working wife a lot easier. I thought it would be good if I could share these with you so that your life can be made a little easier. After all, running a home and working all day is a task in itself. Please feel free to comment on the blogs and ask questions. During the year I shall talk about seasonal events which affect us all in our home life and how we can use neat little tricks and products to make sure we look as professional as possible even when behind the scenes things are a disorganised. As I said Bruce and I have just moved into our new home, with Mae our Springer, Horace, Enzo and Keats our three cats and Ethel and June our chickens. As the weather has not been too good recently I was itching to get into the garden and the first opportunity I spent the weekend in the garden with Mum. The garden was very overgrown and needs a lot of chopping and cutting to get it back to a presentable garden but before I tackle the heavy duty work, I knew I wanted to get my summer pots planted up. 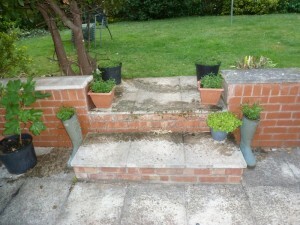 So after getting some lobelia and sweetpeas I tackled one of my most favourite jobs. Planting the wellies. Yes I did say wellies! At the shop we get a few old and odd wellies floating about and so I use them as planters for trailing lobelia’s. Firstly I drill about 6 holes into the sole of the wellie and then line the foot part of the boot with gravel, so that water can drain from the wellie. Next I fill the wellie up to the top of the boot with compost. I normally plant 3 to 4 plants per boot depending on the size of the boot opening. Because there is not a lot of compost in the boot and also the rubber makes the plant very hot, you need to ensure you water carefully throughout the summer. 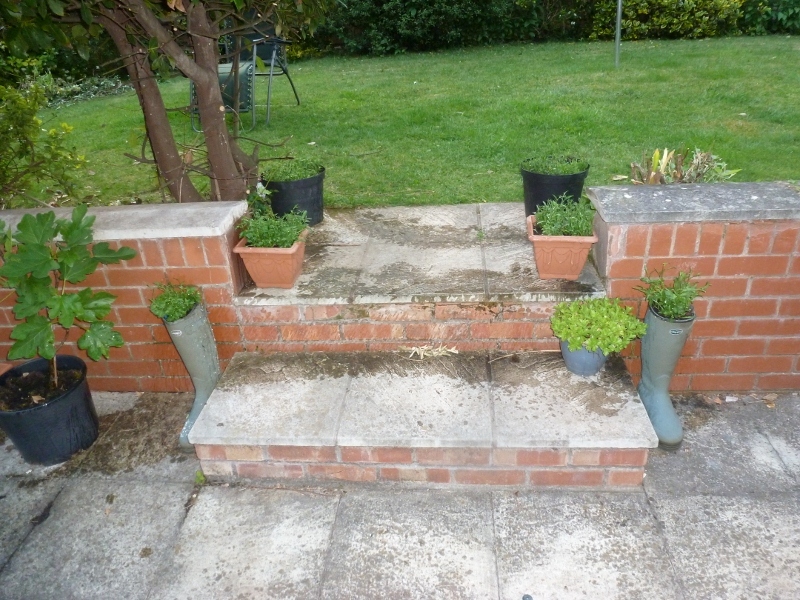 At the end of the summer you will have a patio area full of magnificent wellie boot planters which will amuse your friends and also be full of beautiful trailing flowers. Here is one I planted this weekend (20 May 2012). I shall post pictures of the wellies as we progress through the summer. This is a great idea for any odd or broken wellie or boot and can be used year after year. Country Clothing, homeware, Wellingtons. Bookmark.